Lately, I’ve been reading about Fazlur Khan since I’m a big fan of his philosophy, vision, and thoughts. As I was reading a book written by his daughter, Yasmin Khan, I was surprised to learn that he had traveled to Korea for a building project. The building is called 63 Building. Who knew? SOM had first entered negotiation with Lucky Development Company (an affiliate of the Lucky-Goldstar Group) in 1978. At that time, a 51-story office tower, with a program area of 1.7 million square feet, was anticipated. 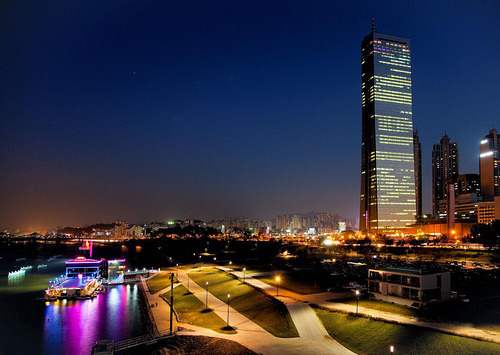 Khan had traveled to Seoul to meet with the client to discuss the headquarters project, and, as was his habit, he made note of lifestyles, local food, and important phrases in Korean. The job was put on hold at that point, but when it was resumed, the client had not forgotten his sensitivity to the cultural setting of the project. Presentation of the final report on schematic design development was scheduled for March 1982, at which time SOM aimed to obtain authorization to proceed into the next design phase. For this meeting, the client specifically requested that Khan be present. *The book also notes that it was Khan’s last overseas trip before he met his death in March 1982. 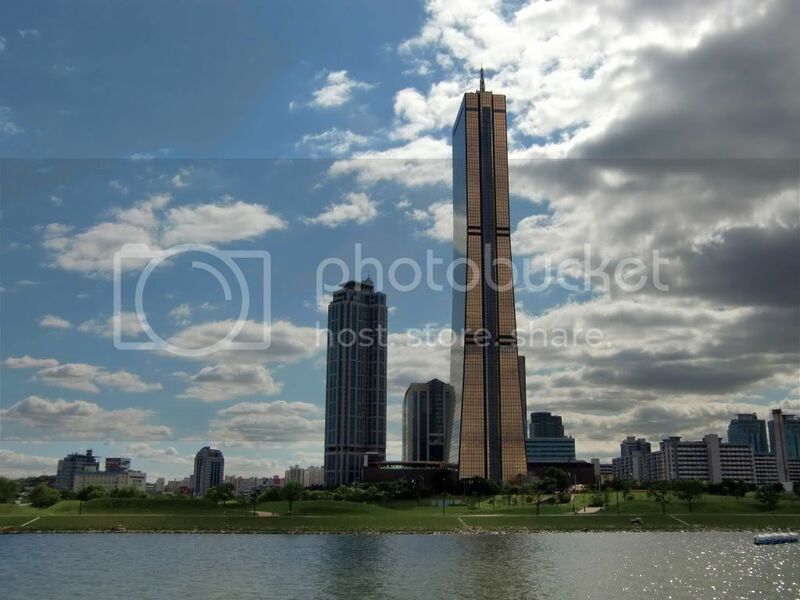 63 Building in S. Korea was designed by architect Harry D. Som, AIA, not Skidmore, Owings & Merrill LLP. Mr. Som previously was an architect in the San Francisco office of Skidmore, Owings & Merrill before joining William Pereira’s office and designing the Transamerica Tower.